What can I say about Think and Grow Rich that has not been said before? 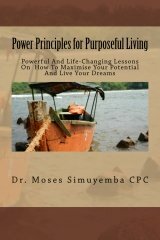 A book that took twenty five years of studying over 500 successful men and getting their secrets and philosophies on paper is a must read for any serious dreamer. Napoleon Hill, commissioned by Andrew Carnegie, studied the big names of the time from Henry Ford to Thomas Edison. He gathered their formulas for success and wrote the book. Think and Grow Rich was a total paradigm shift for me. It showed me, for the first time in my life, that being rich was not a mysterious thing. It did not depend on some fairy or fate determining who gets rich and who remains poor. It opened my eyes to the fact that there was something I could do personally to get wealthy. It planted that seed in my head. I realised that my success all depends on me and what I do. I have control over my future. You have no idea how exciting that was. It opened a whole new world of possibilities and though it took years for the message to grow and really take a hold in my mind it ultimately has. Like a seed that was planted it continues to grow and its effects are evident. Our thoughts are more powerful than we think. Every great man realises that. Whether it is money, fame, power, contentment, personality, peace of mind or happiness that you seek the thirteen chapters of Think and Grow Rich will be well worth your time and money. You simply cannot read a book like this and not be changed in some way. Read it once, then twice, then thrice. Read it until its message becomes crystal clear to you. If you really want to make your dreams come true that will come easy. 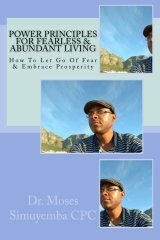 The book is written in a simple and easy to understand manner with lots of exercises to help you along and plenty of practical examples of how these principles have worked for some of the world’s richest and most successful men. Invest in yourself. Buy a book today.